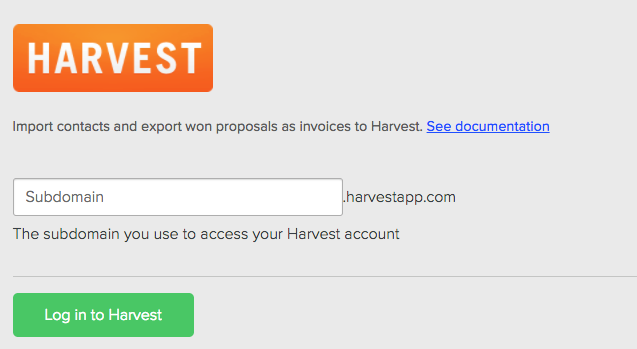 Integrate your Harvest account with Proposify by selecting the account settings and then click on the Harvest logo. 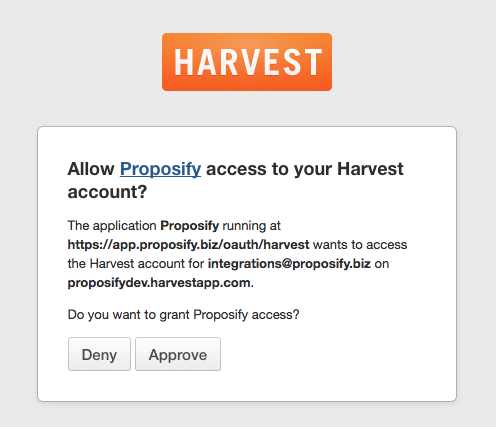 Click Login and it will ask if you to give Proposify permission to access your Harvest account. Click approve and you'll be re-directed back to Proposify. 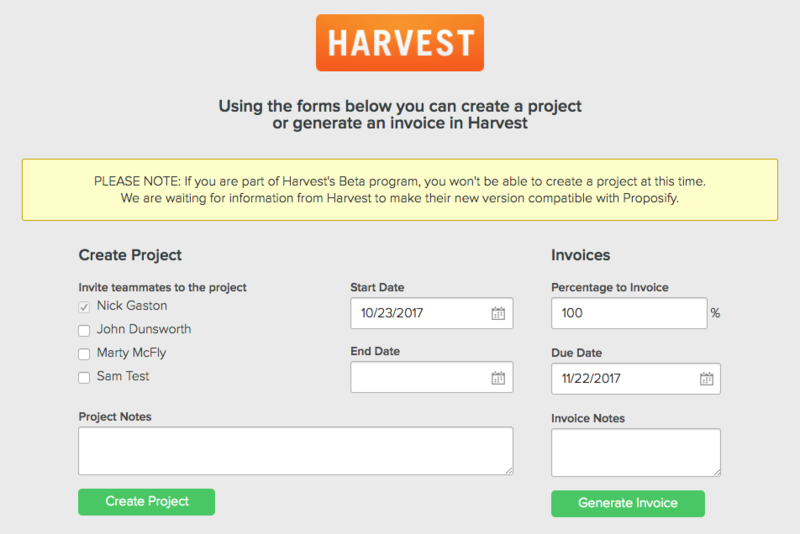 Once your account is successfully connected, you'll be able to import contacts either by selecting each contact you want or use the select all checkbox beside "Company Name"
After a proposal has been marked as Won, you can create a project and generate an invoice in Harvest, by selecting the Harvest button at the top of the Proposal Snapshot page. 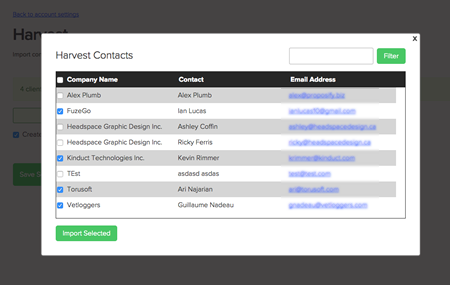 You can generate an invoice by selecting a percentage of the proposal to invoice and clicking Generate Invoice.